The 34-year-old helped Germany win the 2014 World Cup in Brazil and, after seven years with Arsenal, retired last May and is now head of the Gunners' academy. Germany's clubs in the knock-out stage have all drawn English opposition, with Bundesliga leaders Borussia Dortmund facing Tottenham Hotspur at Wembley in Wednesday's first leg. Next week, German champions Bayern Munich play Jurgen Klopp's Liverpool at Anfield, the day before strugglers Schalke 04 host Pep Guardiola's mighty Manchester City in what is expected to be a one-sided contest. "It would be great if two of the three German teams come though," Mertesacker told magazine Kicker. "That would be like winning the jackpot and I assume one of the teams will make it -- Dortmund or Bayern." English teams have won only six of their last 12 ties in the last 16 and Mertesacker believes Bayern and Dortmund "have legitimate hopes". Mertesacker says the Bundesliga's January winter break leaves German teams fresher than their English rivals. "I have experienced myself what it is like after the intensive month of December, when your body needs a break, then having to be fit for the decisive games in April, May," said Mertesacker. "That's why the English record in the last 16 is so weak, a factor German clubs must take advantage of and keep up with the pace. "They should not be intimidated." 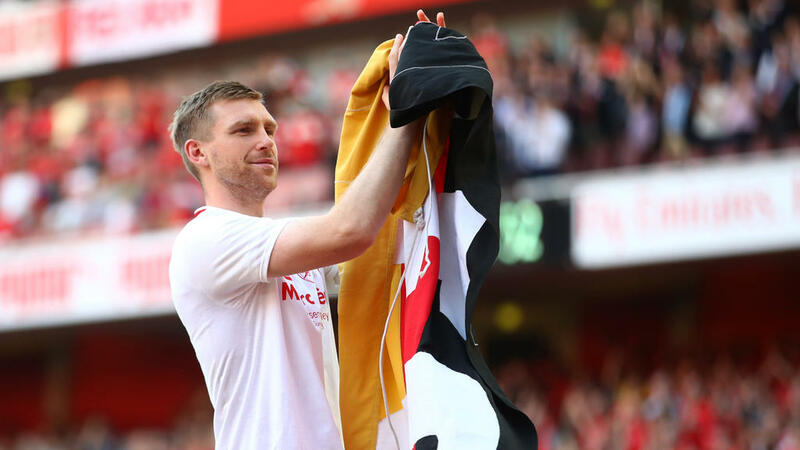 "At Wembley, it feels like playing a final," said Mertesacker. "Fernando Llorente, the replacement for Kane is a huge striker and Tottenham will come down the wings, trying to feed him from the flanks, which Dortmund must hinder." "It gets very intense, especially from the spectators there," said Mertesacker. "Bayern must stay calm, not stumble when they have the ball and build from a secure defence."